Okay Google? What does Voice Search mean for SEO? With the continuing rise of mobile device dominance and digital assistants such as Amazon’s Echo and Google’s Home devices, along with in car assistants, the once science fiction concept of voice search is not only a reality but a part of our everyday lives. In the UK alone 40% of adults use voice search on a daily basis and it’s predicted by 2020 that over 50% of searches will be done via voice. So as marketers it’s essential we understand just what voice means for SEO, and what we can do to make sure our business’ websites appear for voice search results. And in this blog, we’ll discuss exactly that, looking at how voice is changing how your customers search and what you can do to ensure you remain front and centre in search results! 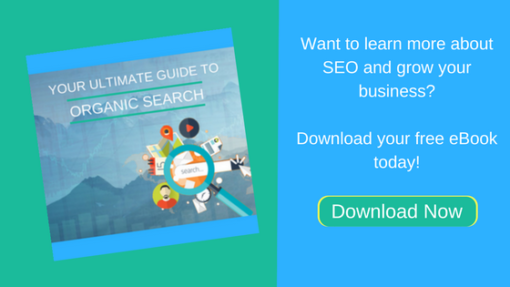 WANT TO ENHANCE YOUR BUSINESS’ SEO STRATEGY? THEN DOWNLOAD OUR FREE ULTIMATE GUIDE TODAY! 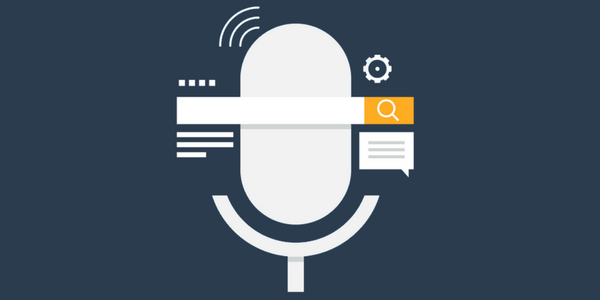 How is voice search changing SEO? When we search online using a keyboard, let’s face it we’re all a little lazy, only typing the words we need, for example, if we’re heading on holiday and want to check the weather, we’ll probably type something like this – “weather Paris” – or perhaps we’re looking for a nice restaurant – “best restaurant Manchester” – lazy right? But with voice search, our search queries expand, as we tend to use longer sentence like commands. As we use longer tailed phrases while utilising voice search, so do those searches take on a more conversational style, using natural language and tone. And so, as we write content for our business’ website we need to optimise by creating content, written in a conversational tone (just like this blog 😊) and use phrases in the way that our target users talk to their digital assistants, rather than just, how we might type a search query. The most common way we use voice search is to ask a question, whether it be “where, when, what, who, why or how” we engage with our digital assistants on mobile, in the car or with our feet up on the couch, because we want to know something there and then. And as business owners and marketers it’s up to us to take advantage of this new-found search experience, by optimising our websites with those questions and their significant answers (I’ll discuss how we do that in the next section). But there we have it three straight forward but significant ways voice search is disrupting how our ideal customers and clients are searching and finding our businesses. So, let’s now take a look at what we can do to make sure our business’ website remains front and centre in this new search utopia! How do I optimise my website for voice search? By creating content using the language your potential customers actually use, you not only allow yourself to utilise long-tail phrases but also provide information that closely matches your user’s actual intent. A useful trick to help you identify such phrases is to search using Google’s Wildcard function. Here, pick your question words, be it “how, where, what” and type it in the search bar followed by an asterisk and then the service or product you’d like to see how users search for. Google’s instant search will then pull back a list of some of the most common searchers from across the web. Tip #2: Be mobile friendly and fast! As the majority of voice search traffic will come from mobile devices, it’s essential that your business’ website is mobile responsive. This has been the case for a while now, not just in relation to voice search, but due to mobile device usage and search engines implementation of mobile centred algorithms. And one of the biggest mobile responsive components, that most business’ fail at, is load speed and specifically load speed for mobile devices. Over 40% of searchers on mobile devices will abandon a search if a website takes longer than three seconds to load! That gives you a pretty small window of time to present a user with the information they’re looking for, so it’s key that you optimise for mobile to help rank better and provide a better voice search experience. One simple way to help improve the load speed of your company website is to compress images. You can also make use of Google’s Accelerated Mobile Pages (AMP) tool to help increase load speed further. The Schema markup is a fantastic tool to help search engines better understand your website’s content, by providing context to your written words. And the best thing about Schema markup is that it can help you secure a couple of things within Google SERPs, one of those is the precious rich card spots. These allow you mark-up key things such as your business’ address, reviews and even events you’re hosting, which are then featured on SERPs in standout card formats, making the information more appealing to users. But the other thing that Schema markup allows you to do is mark-up answers to questions which can appear at the top of Google in Google’s Answer Box. Interested in learning more about Schema, check out our next week’s blog! As we mentioned earlier voice search users are looking for answers there and then, so creating an FAQ page which includes all of the most common questions you get asked about your services or products, which uses the language that your potential customers use, will help your business’ site to appear at the top of SERPs. In addition, if you then mark-up those Q&As with Schema, you can increase the chances of appearing within Google’s Answer Box. So, what does Voice Search mean for the future of SEO? Well with 25 million devices running voice search, expected to have shipped by the end of 2017, taking the total voice-first devices to well over 33 million, it’s clear that voice search isn’t going anywhere. And with it still being in its relatively early stages, the use cases and capabilities of voice search are yet to fully explored and tested. But the tools already exist for us as marketers and business owners to exploit, and ensure we get ahead of the curve and more importantly our competitors! Previous reading 20 SEO Tips Guaranteed by Google to help your Business! Next reading What is structured data? And how can it improve your search ranking and click through rate? Do Meta Descriptions Really Matter? Powered with by Paramount Digital.